Skin care is one of my great beauty passions. Thanks to a good deal of effort and the right products for my own skin, my complexion is the best it's been in many years. One of the procedures that aids me in caring for my skin and keeping it fresh, clarified, hydrated and glowing is masking. In my own not so personal opinion, masks are an essential part of any good skin care routine and I have quite a few in my collection from which to choose, depending on my needs, at that moment. 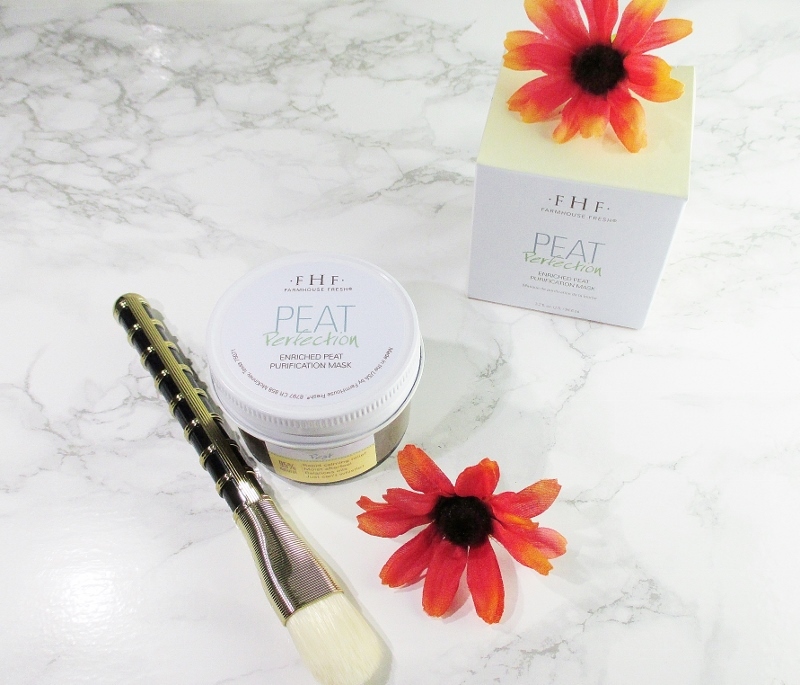 Farmhouse Fresh Peat Perfection Enriched Peat Purification Mask is a spa day in a jar for my face. 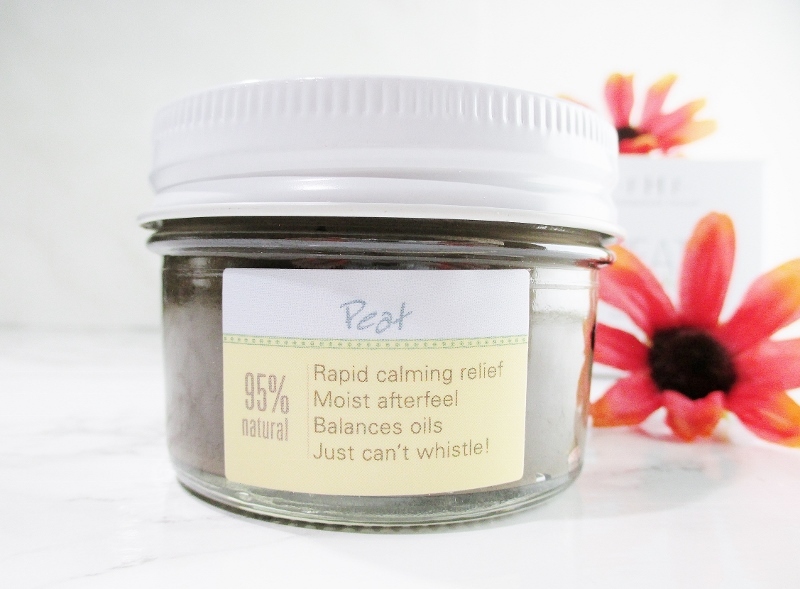 When my skin is feeling congested, dehydrated and just... blah, it needs special care and pampering. Because my skin is very dry, I have to be careful to balance it's need for clarifying and purifying with hydration and rejuvenation. Happily, this mask can do it all. Okay, one thing I really love about Farmhouse Fresh is that a lot of their packaging is reusable. Case in point, this perfect little glass jam jar with it's metal lid. When this mask is all gone (and I have shed bitter tears at our parting) I can wash it and reuse it for storage of little incidentals and sundries in my studio. Glass and metal are recyclable so when I decide that I'm over them, I can easily toss these jars in the recycling bin so that they can be repurposed. It's a small thing but if we all made an effort to keep even a few things out of the trash, think of how much less landfill and Pacific trash vortex there would be. 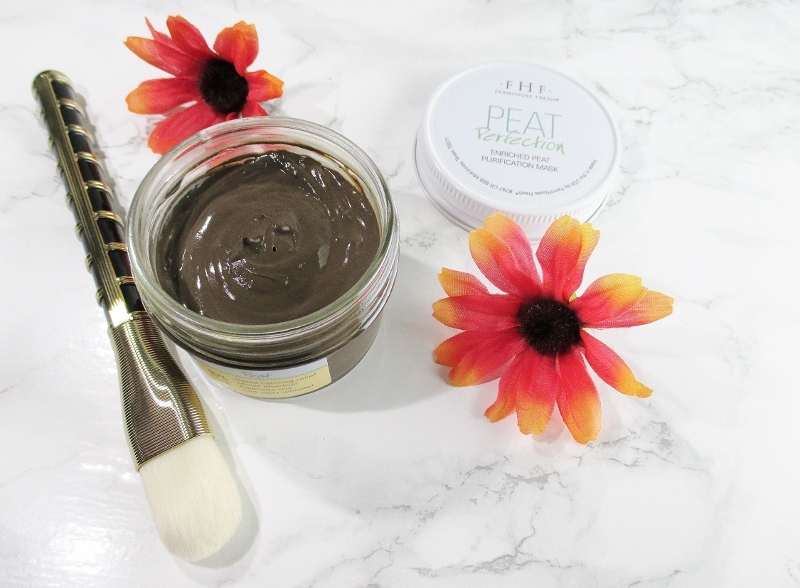 The first time I opened my jar of Peat Perfection Mask I was expecting a muddy, rough, textured substance evocative of blocks of peat. What is in the jar is a dark, murky green, smooth mud. It came to me with a good bit of liquid floating so I grabbed a clean orangewood stick and gave it a good stir to get this silky stuff. When I apply a mask, I like to scoop what I'll need from the jar, at once with a clean synthetic paddle brush, deposit it on the back of my hand and from there, smooth it all over my freshly cleansed face. The immediate feel is gently cooling and refreshing and there is a light, freshly earthy aroma with a hint of clay and a zephyr of something... Minty/menthol-y. The scent isn't strong and it does dissipate so I think that more sensitive beauties will be fine. Now, I grab a book or plop down in front of my computer or TV and relax for twenty minutes, or so. After the mask dries, I use a wet face cloth to remove it, leaving my skin looking and feeling fresh, glowingly clean, hydrated and comforted. 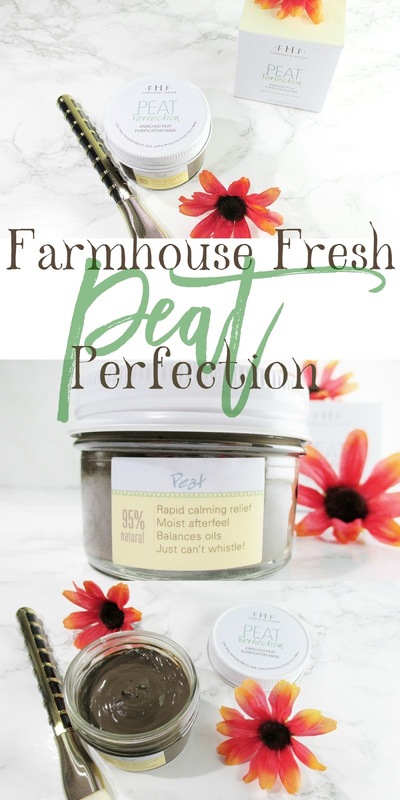 Derived from 95% natural ingredients, Farmhouse Fresh Peat Perfection Enriched Peat Purification Mask is free of sulfates and parabens, is vegan and gluten free. Farmhouse Fresh is cruelty free. A 3.25 oz. jar is $30.00 and renders 14-18 applications, washing out to about two dollars per use. That is an excellent value for money for such a beautiful and effective treatment. You can connect socially by visiting Farmhouse Fresh on Facebook, following on Twitter and of course, stalking them on Instagram. Personally, I can't get enough of this gorgeous brand. I have, so far loved everything I've tried. What are your favorite Farmhouse Fresh goodies?